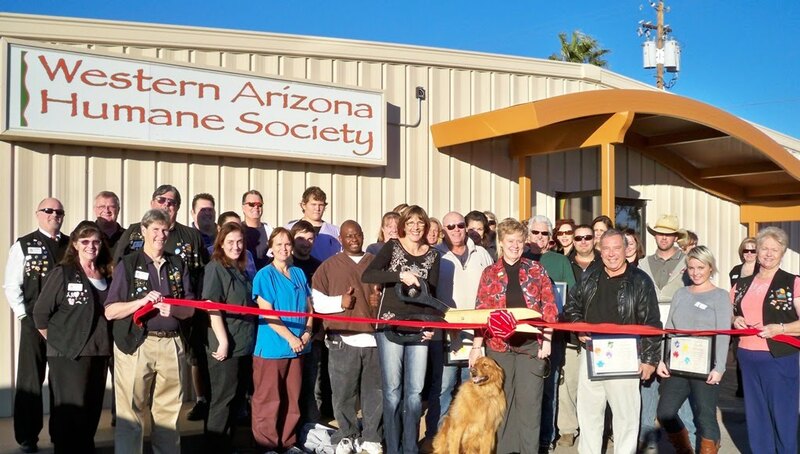 Victoria Cowper, Executive Director of the Western Arizona Humane Society along with the Lake Havasu Area Chamber Ambassadors and dozens of business owners who donated time and resources to remodel the building, cut a ribbon to officially reopen after the current remodel. The Humane Society has a whole new look and feel inside and out thanks to all who donated. The location at 1100 Empire Drive can be easily identified now by the new metal arches out front. For more information contact the Humane Society at 855-5083.